Our racecourses in Britain are all national treasures, but perhaps that which is most alluring in the proverbial treasure chest of jewels, is Ascot Racecourse. With a rich history spanning a huge 300 years, Ascot is arguably the most iconic course in Britain, known worldwide as host to some of the most prestigious, main events in the racing calendar. Here, we delve into the deep past and the developments which led Ascot Racecourse into the prime position in which it stands to this day. The saga begins over three centuries ago, in 1711, as Queen Anne was riding out near Windsor Castle. She spotted an area of land which sparked her imagination, which would later lead to exceptional plans. She saw potential in a heath of land and deemed it as ‘ideal for horses to gallop at full strength.’ Within the year, plans were put into action and the first race meeting at the site was held on the 11th August. Any horse, mare or gelding, aged 6 years and older were invited to partake in the race, leading to a total of 7 runners competing for the prize plate worth 100 guineas. At the time, many horses were actually bred as hunt horses, with priorities based on stamina rather than speed, unlike today’s standard. A further radical difference was that the meet consisted of three heats, each required the horses to run a total of four miles, carrying a total weight of twelve stone each. Unfortunately, there is no official record of who the lucky winner was, but the event must have been successful as a further meeting was held in the following month. In a dramatic turn of events, the brief spell of popularity of the races at Ascot was diminished after the death of Queen Anne in the same month as the second meeting. After this, there are no more records of races taking place at the site until 1720. Many years later in 1749, the interest in the horse racing was once again revived by George III’s son, William Augustus, the Duke of Cumberland, a keen sportsman. He introduced the first four-day fixture to Ascot and in 1785, as the breeding of horses developed, more focus was installed into the speed of the horses, leading to the Straight Mile being built. Furthermore, in 1794, the first permanent building was erected, using local tradesmen, which housed 1,650 people and would go on to last 50 years at the course. 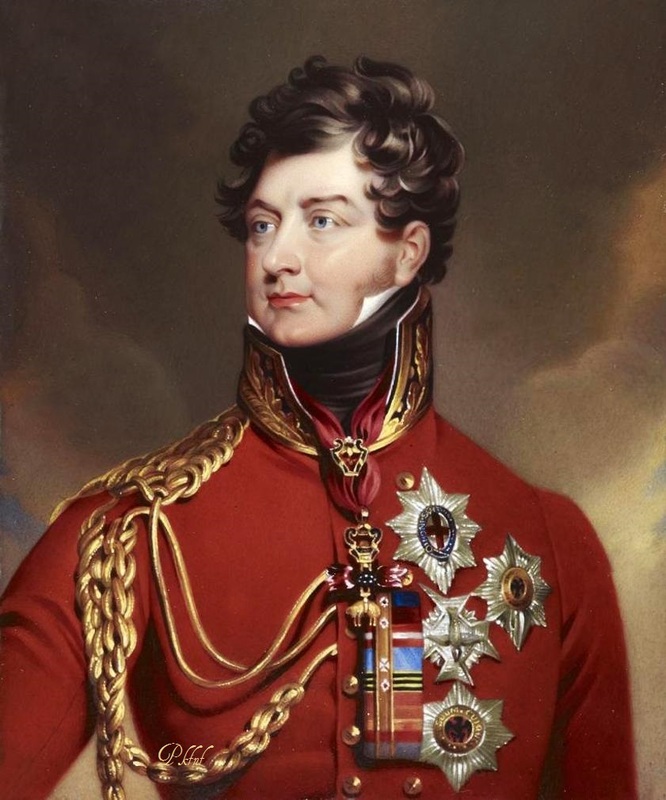 Years later in the 1800’s, Prince Regent, later to be known as George IV, began to draw in the crowds, rising Ascot from the ashes into a mighty social event. Prince Regent had a penchant for a frivolous lifestyle, spending his time gambling and womanising. These two ‘hobbies’ coincided as he brought all to Ascot, making the racedays a social must for all. 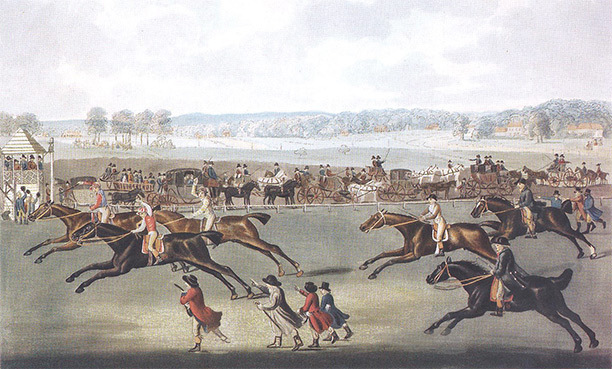 As the popularity of racing at Ascot boomed, Parliament passed an Act of Enclosure in 1813, ensuring that Ascot Heath, whilst maintaining to be the property of the Crown, would be ensured for the future as a public racecourse. 1820 saw John Nash commissioned to design a new stand in the Ascot grounds, which would include a lawn for the Guests of the Royal Family. This would provide the beginnings of what we now know at the Royal Enclosure. Following on with the noble theme, Prince Regent then also introduced the Royal Procession to the races. The procession which takes place down the Straight Mile is a tradition to this day! Interestingly, Ascot is only called ‘Royal Ascot’ in June, when the royal family is present. Almost 200 years later in 2011, the success of Ascot Racecourse was celebrated for it’s tercentenary year. The celebration included staging the QIPCO British Champions Day, a meeting which is acclaimed to be the climax to the European Flat Racing Season. To this day, the Racecourse, steeped in history, still celebrates it’s roots, with the opening race providing a fitting commemoration to it’s founder, Queen Anne through the ‘Queen Anne Stakes’. 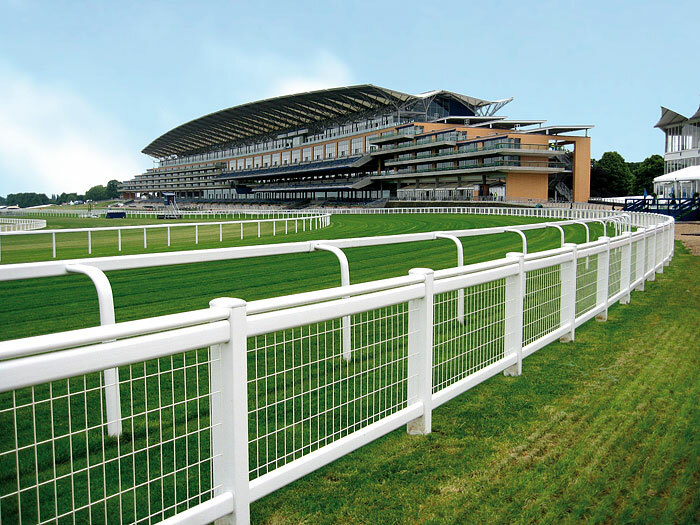 Though having made extreme changes, through building and course development, including the installation of our Duralock fencing across the course, and being bought firmly into the present, Ascot Racecourse stays true to it’s beginnings. The prestigious racecourse continues to provide excellent ground for the horses who run on it’s turf, to prove themselves and really ‘gallop at full strength’.